Whether you’re a professional landscaper or a dedicated DIY enthusiast, you rely on your outdoor power tools and equipment to get the job done. Though they see a lot of use during the warmer months, most of your tools will likely need to be stored during the winter. Believe it or not, there’s a right and wrong way to keep your outdoor equipment safe during cold weather. Here’s what you need to know to make sure your equipment is properly stored once the seasons change. Both gasoline and motor oil can be a major hazard to your outdoor power tools if they go unused for months at a time. As the fuel and oil settle in the reservoir, they thicken, causing the inner workings of your tools to gum up. Once you get ready to use the tools again, you’ll be in for expensive repairs and cleaning. Before putting your tools away for the winter, take the time to drain the fuel and oil from the system. Snow and humidity can wreak havoc on your tools, so store them in a cool, dry place; the garage, a backyard storage shed, or a covered porch all work nicely. However, if there’s even a slight chance that the tools might get damp where you keep them, cover them completely with a durable tarp. Blowers, trimmers, and lawn mowers all collect debris with each use. Before storing it for the winter, take the time to clean and sharpen the blades and remove any trimmings or buildup from the gear. This will keep the outdoor power tools in ready-to-use condition for spring, reducing the amount of prep work the new season brings. Before storing your tools this winter, take a look at the spark plugs in each machine. If any of the plugs are corroded, replace them with new plugs. This will help keep the machine in good shape through the winter while also reducing the amount of maintenance you need to do in the spring. 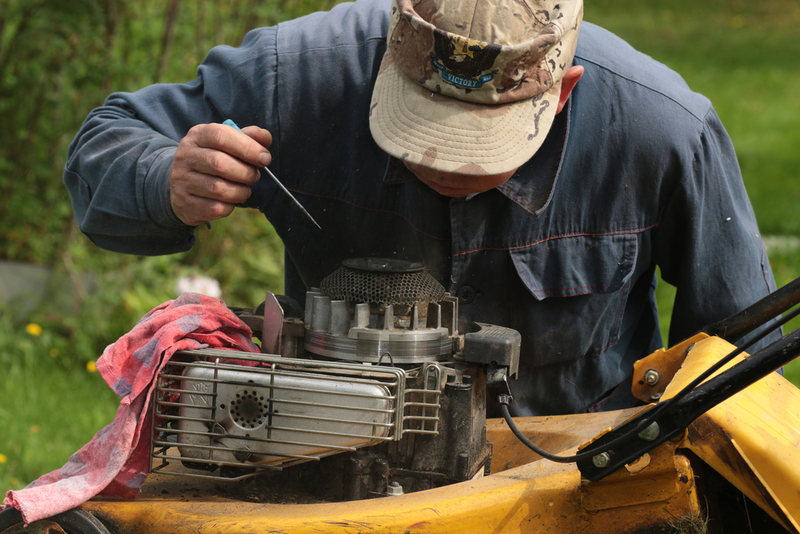 With the right care and attention, your outdoor power tools should last for many years to come. If your equipment needs some new parts or you’re ready for a replacement, stop by L & R Power Equipment in Monroe, CT. As a premier Stihl® power tools dealer, they have everything you need to get your yard ready for whatever activities you can imagine. Not sure what you need for your project? Their friendly team will help you understand your options. View their special offers online and call (203) 268-8400 to speak with a member of their staff today.